Messenger Pro is an advanced multi-platform messaging client with powerful facilities for managing mail and news from multiple sources. Supporting POP3 and IMAP based mail accounts and NNTP news, it is currently available for the Linux, Windows and Mac OS X platforms. A list of some of its features is given below, but the best way to get a feel for its capabilities is to try Messenger Pro for yourself. Alternatively, its user manual is available for download which will also give you a good impression of its features and capabilities. Messenger Pro handles both mail and news and presents a consistent user interface providing access to both. 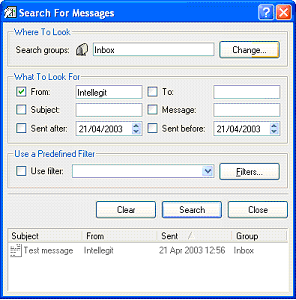 This improves ease of use since the skills learnt handling e-mail can be applied to news and vice versa and also provides the convenience of having everything kept in one place, however if preferred, groups and messages can be opened in separate windows. 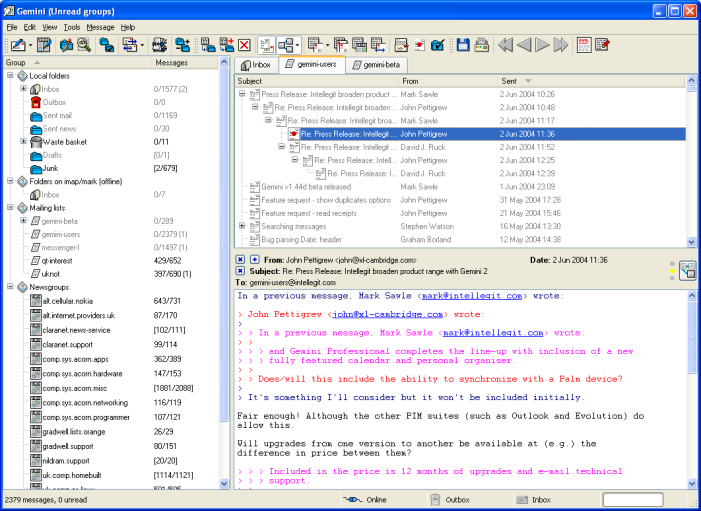 The picture shows the list of groups on the left with mailing lists and newsgroups kept separate from the user's personal folders. Each group shows the number of unread messages and total number of messages in the group, an indication of how many flagged messages there are, and whether there have been any new arrivals since the last time the group was opened. Across the top to the right are configurable tabs allowing a number of groups to be kept open permanently with easy switching between them. Beneath this is a list of messages in the current group, threaded to indicate the conversation structure, while underneath this is the message itself, coloured to indicate who said what, with a traffic light style icon to indicate when a message is signed and whether or not it has been verified, and easy access to the message's ancestors and descendants via a button leading to a menu of all messages in the current thread. 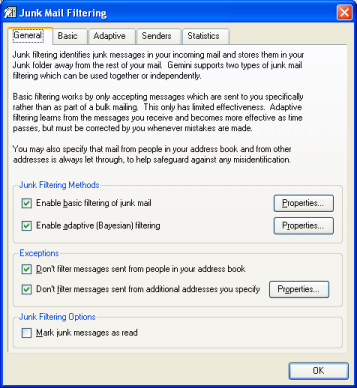 Messenger Pro features a sophisticated Bayesian junk mail filter that automatically learns how to distinguish between the junk mail you receive and your normal mail, filtering the junk into a separate folder so that you don't need to see it and automatically deleting it shortly after. All you have to do is tell it when it gets it wrong and it'll quickly learn from its mistakes. Messenger Pro contains a number of specific security features to help protect your privacy and keep your machine safe from e-mail based viruses. Messages are rendered using a simple rich text engine which doesn't support scripting, hence making Messenger Pro immune to script based viruses. Attachments are opened only at the user's request, with checks made for suspicous looking files, thus also reducing the risk of inadvertently being infected by viruses which spread as attachments. 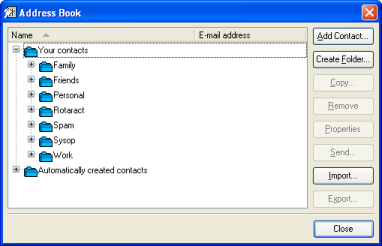 Since the Windows Address Book isn't used, this also reduces the possibility of passing viruses on to others, since this is where the majority of viruses obtain their lists of e-mail addresses from. The display of images is disabled by default which prevents the user from accidentally seeing inappropriate material, but also prevents remote image fetches from confirming your receipt of the message and thus confirming the validity of your e-mail address for sending junk mail. Support for GnuPG is also included which allows messages to be signed and verified, confirming their authenticity, and/or encrypted, thus guaranteeing secrecy. Messenger Pro also supports SSL encryption for all transfer protocols, thus ensuring that your login details and your messages can not be intercepted. Templates can be set up allowing easy sending of messages that have a standard format. Templates can also be used to send standard replies, which can optionally be automated. Messenger Pro supports MIME, UUCode and YEnc formats for decoding and sending attachments. UUCode and YEnc encoded files split across multiple messages can also be decoded. Messenger Pro's rich text engine is capable of rendering HTML including tables and images and messages may also be sent in rich text if desired. Default settings are such that good netiquette is promoted by discouraging inappropriate use of this feature. Messages are coloured so that quoted text appears in a different colour to normal text, with support for multiple levels and colours. This is a useful reading aid since it helps distinguish old text from new, especially when multiple levels of quoting have been used, helping to separate out each person's comments. Messages can also be coloured in folder listings to indicate they have certain properties, as determined by filtering and scoring rules. Messenger Pro contains powerful features for identifying messages and performing a range of actions on them, automatically deleting messages are filtering them to other folders. Any part of the message's header can be tested and as many tests can be created as you want, combining them using either AND or OR logic. Messages can also be scored, allowing a set of rules to be created which give progressively higher scores to interesting messages, and low scores to unimportant messages, thus allowing you to sort your messages with the most important displayed first. Filters can also be used to provide powerful search capabilities and to automatically tidy your messages by moving old ones into appropriate archive folders. Each folder or newsgroup can have its own display settings, allowing you to choose from a range of fields to display. Columns can be resized and reordered according to your preferences, and each can be used to sort messages into a particular order. Messages are threaded so that messages belonging to a particular conversation are grouped together and displayed so that the structure of the discussion can be seen with respect to which messages are replies and the messages they reply to. A menu is also made available allowing quick access to the replies of a particular message, its predecessors and its siblings in the thread. Where a particular message is no longer available, Messenger Pro can refetch it for you or display it using the Google Groups archive. 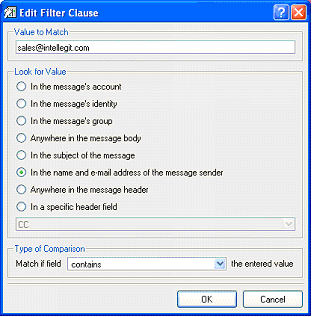 Messages received from mailing lists can be filtered into their own folders and listed separately as specific mailing list folders. Such folders are configured with the list posting address and thus the mailing list can be treated as a newsgroup, allowing threading of messages and providing separate post, reply and followup options, determining the correct e-mail address(es) to use in each case. Messenger Pro allows as many mail and news accounts to be created as you like, automatically connecting to them and transferring messages at specified intervals. By assigning an identity to each account, messages from different accounts can be distinguished so, for example, replies sent to messages sent to your home address will be sent using this address, and work related messages will carry your work address. Each identity has a different name and e-mail address associated with it, allowing you to choose which one to use when sending your messages. Mail and news can be read online while connected to the Internet or downloaded for later viewing offline. 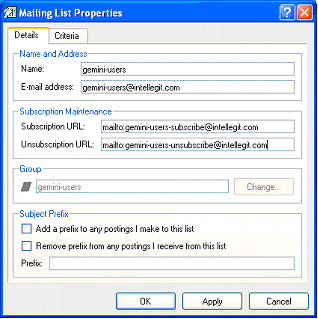 IMAP accounts are supported which allow mail to be stored on remote mail servers with messages only downloaded as you read them; POP3 accounts are also supported. 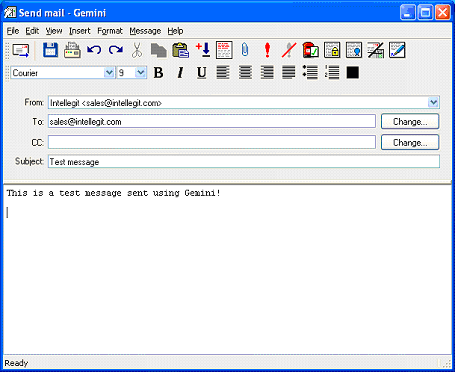 Both mail and news can be configured to download message headers only, automatically retrieving their bodies when the message is opened. In addition, requests for news bodies can be made offline and fetched the next time you are online. All messages and headers are stored in an offline database, allowing fast access to messages you've already seen, and allowing replies to be composed without the need to be online. Queued messages can be viewed, reedited or temporarily held if required, before they're actually sent. Messenger Pro's new messages window allows at a glance viewing of new messages, including their subject and sender, and easy opening of messages from this window. Each folder can be independently configured to notify you of new arrivals in that folder, and sounds may also be configured to be played for messages in a certain folder or from a certain person in your address book. Messages stored in Messenger Pro's database can be edited and saved back, perhaps to add annotations, to correct messages or to strip out unneeded content before archiving. 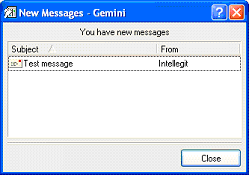 Additionally, any message may be resent, using its header information, content and other settings as the basis for sending a new message. A spell checker including American and British dictionaries is included, allowing you to check messages you write for errors before sending. Custom dictionaries may also be created. If you know what you're looking for, Messenger Pro doesn't hide the message header from you. A single button click will open the message in its raw form, including its header, allowing you to look for suitable headers on which to construct filters. Messenger Pro's address book holds more than just a list of e-mail addresses: full postal and telephone details can be stored, comprising both private and work details, as well as birthdays, job titles, web pages and free-form notes. The address book is arranged into folders, with support for the same contact appearing consistently within multiple folders, allowing easy organisation of your contacts however you want to arrange them. Messenger Pro conforms to the standards set in the relevant RFCs for mail and news, as well as the latest Internet drafts and proposed standards. It also performs strict message checking to ensure that users send messages conforming to established netiquette conventions, thus promoting good practice and helping its users to be seen as good net citizens by their peers. Messenger Pro is being sold through R-Comp and all sales enquiries should be directed to them. You can also use Messenger Pro free of charge for 30 days by registering to evaluate it.